- Besides the product image, these 3 displays should have a place for product name, deal price, saved amount, deal deadline (6 days remaining) and a slider indicating howmany people already bought this item. Note that deal may trigger after the total reaches a particular number like 100. So the slider shoud indicate the progress from 0 to 100, placing the marker at current level say 20. - A banner to request a new prodcut which is not available. It should capture product name, and the users email. - Footer with usual data and links like social media icons, etc. 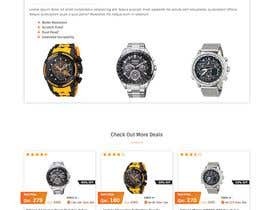 - Usual product details page of an ecommerce site showing all the product specs, more images, deal details, vendor details, etc. Also should have social media share/like buttons and Add to cart/Buy now option. Note that this template will be used on top of an eComerce platform like WordPress/WooComerce, OpenCart or a custom one. If you are interested in that opportunity, please indicate. We will be running it as another project bid. [login to view URL] - This is domain we will be hosting the website, please remember to use the same logo and color theme (Predominantly white with tinges of orange and black). Please check #39 and give feedback. Working on it, please do not close before timeline. only 3 products on home page..
can u show as per our requirement.. LIKED the scale showing the sold..
thank you for inviting me.i will send as much as possible. Hi, I assume you require a front-end HTML E-comm template, correct me if I'm wrong and Is it alright to use Bootstrap ? Is this contest only for Homepage or all the three pages ? I see you require the back-end to be built on a CMS. Is it okay if a custom Front-end HTML/CSS structure(responsive) is provided ? This can be used by the back-end developer to integrate in a custom way. But not sure about wordpress or other cms as it would be required to built using their individual themes. Hi dear contest holder. Please check Entry#8 I would love to work with you in providing you with the deals template of your choice I have many creative ideas to show you. Please take care. Updated the description with attachments. Please refer. The groupon image is not homepage but product page. We need the homepage design. great I have scene the attachments. and would love to create that for you. Please let me know if you are interested in working with me based on the sample I provide just to show you that I can do this. I usually work in projects rather than contest so that's why I'm asking this if you are interested in working with me ? It is a deal site not an eCommerce site. 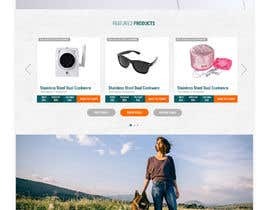 please read the description..it s a deal site..with 3 deals on homepage..
this HTML later to b under platform woocommerce, opencart, magento.. which will be give here for project bid after homepage is awarded..Yes need mobile responsive.